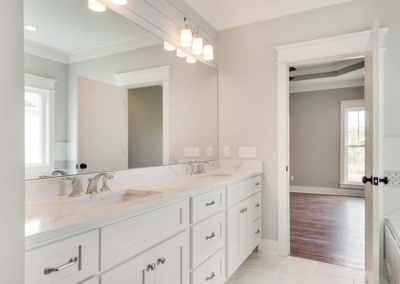 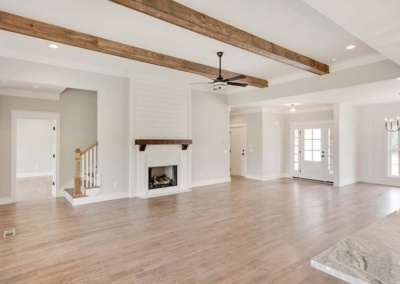 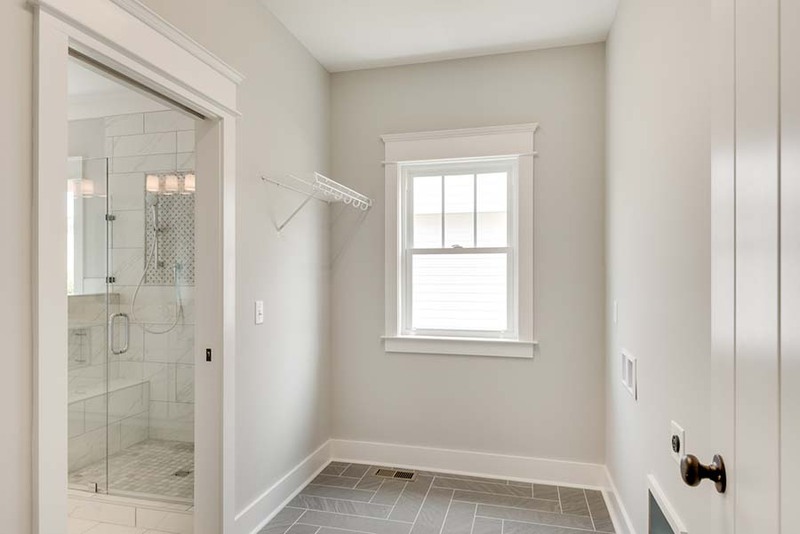 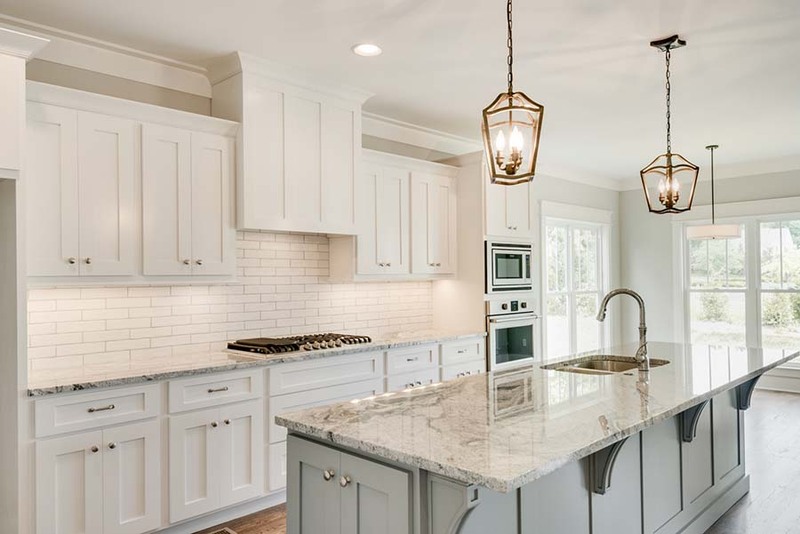 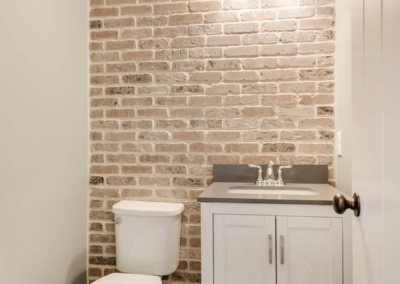 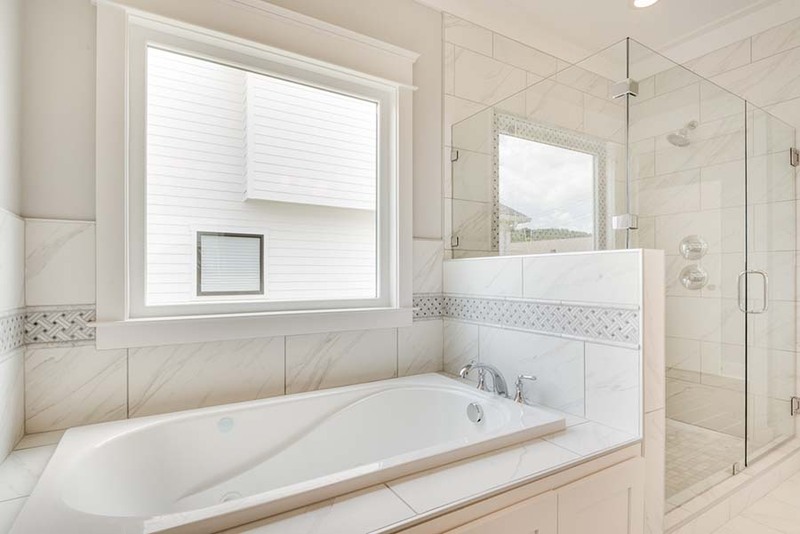 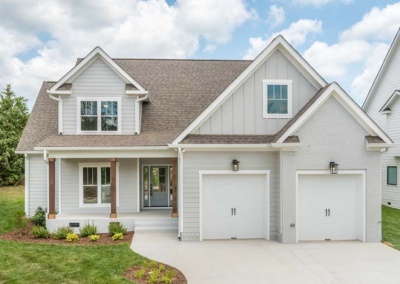 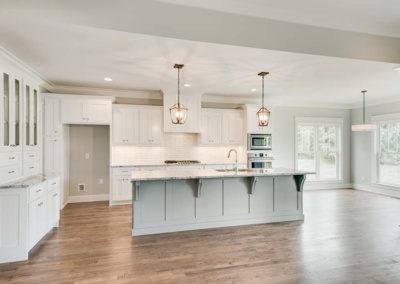 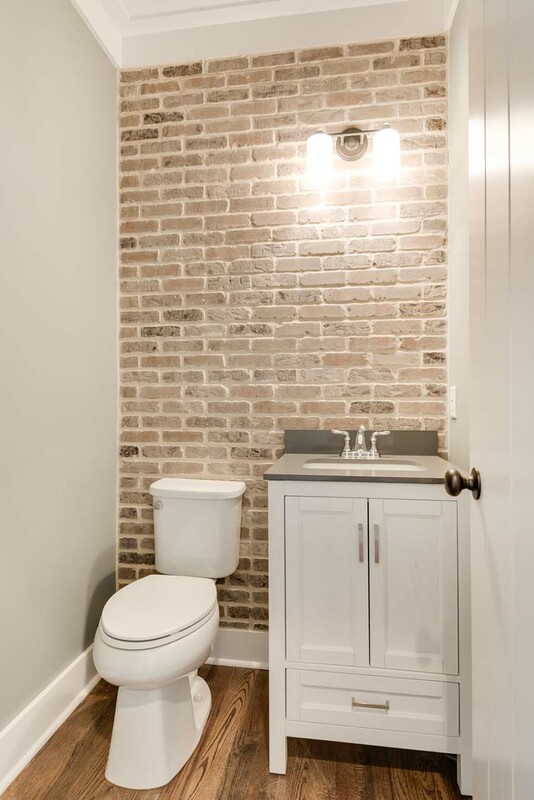 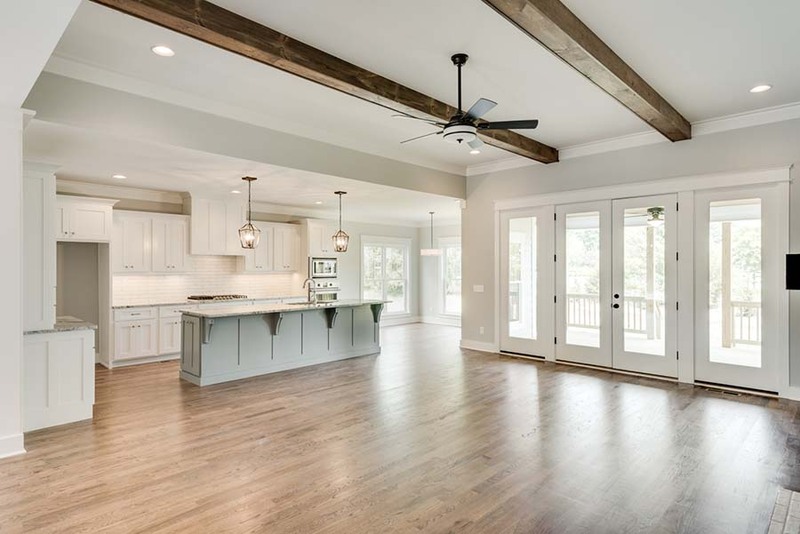 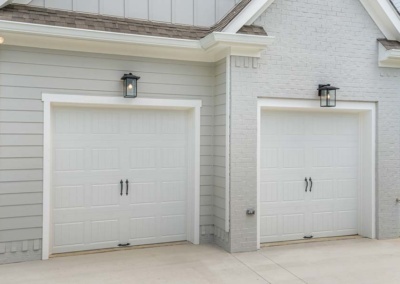 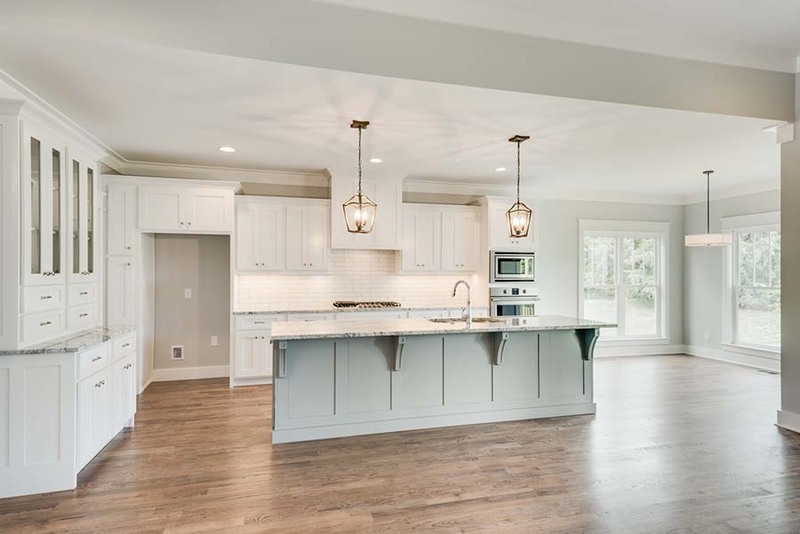 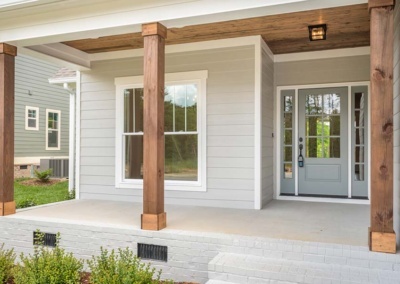 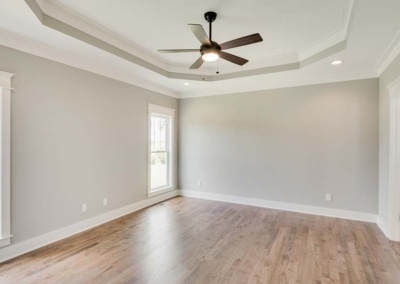 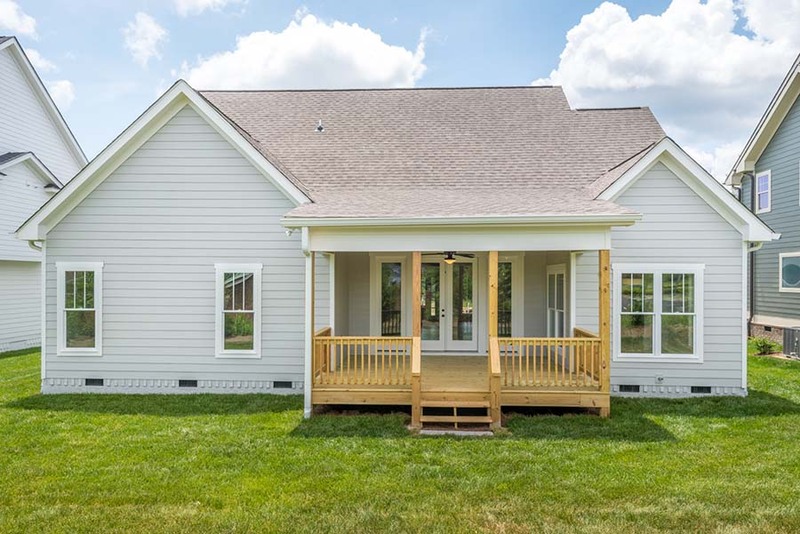 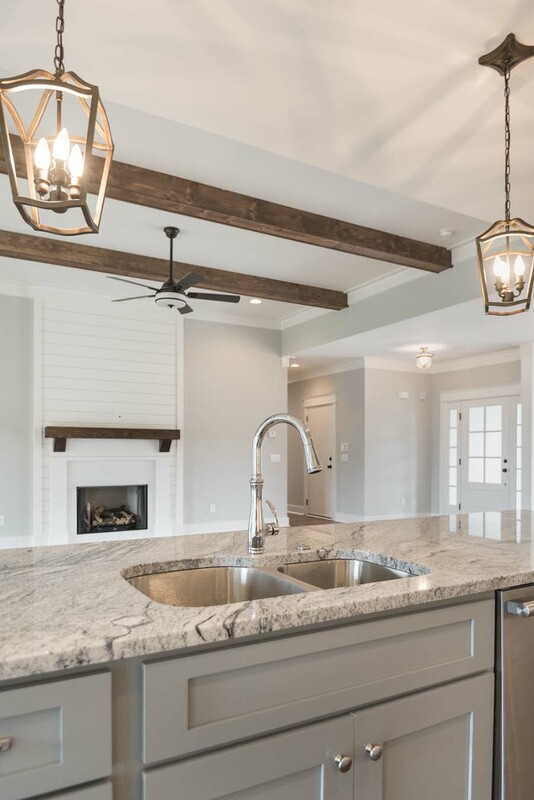 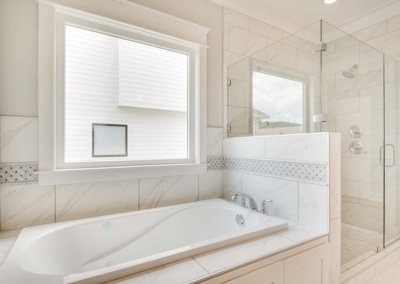 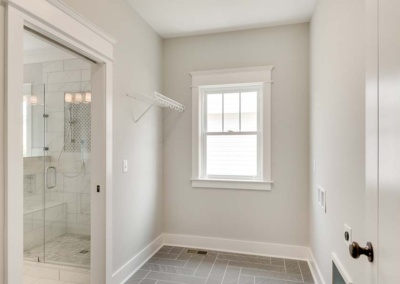 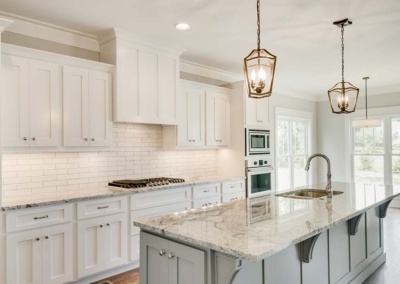 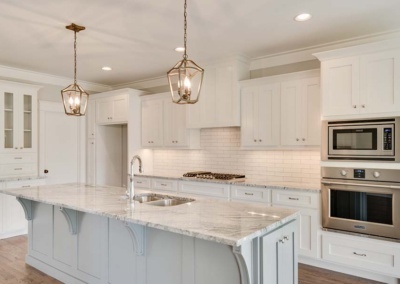 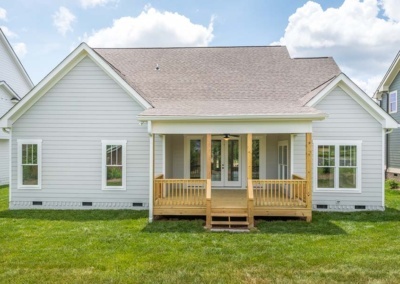 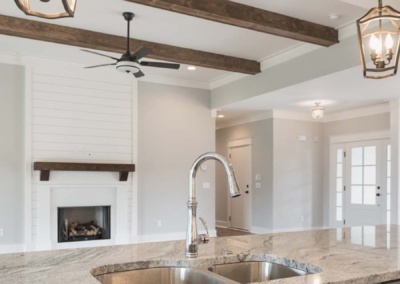 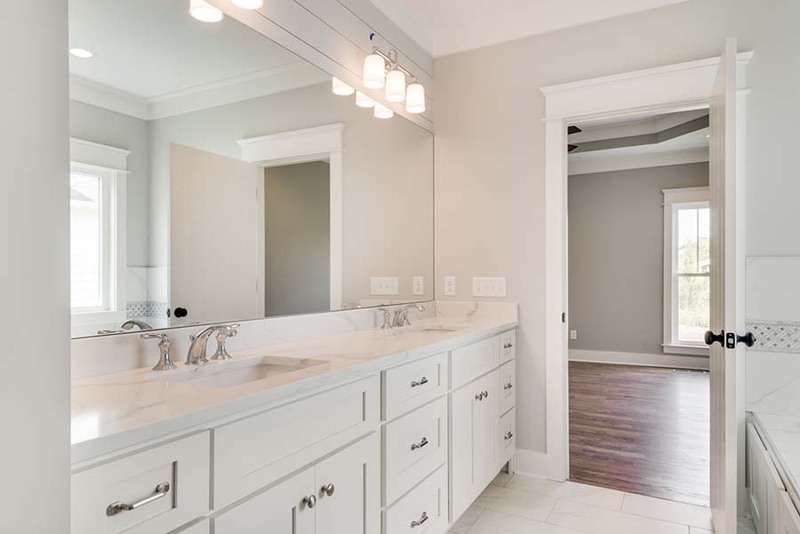 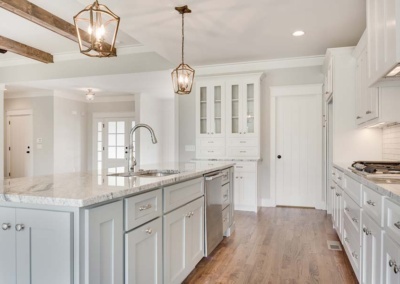 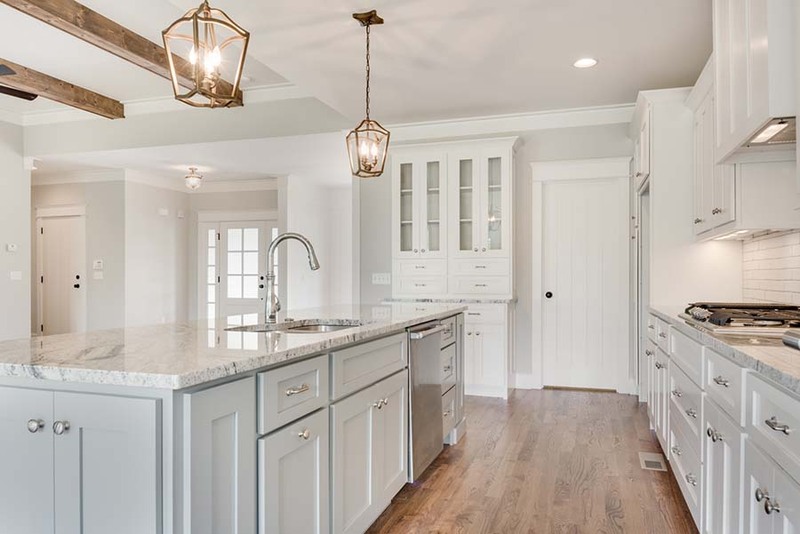 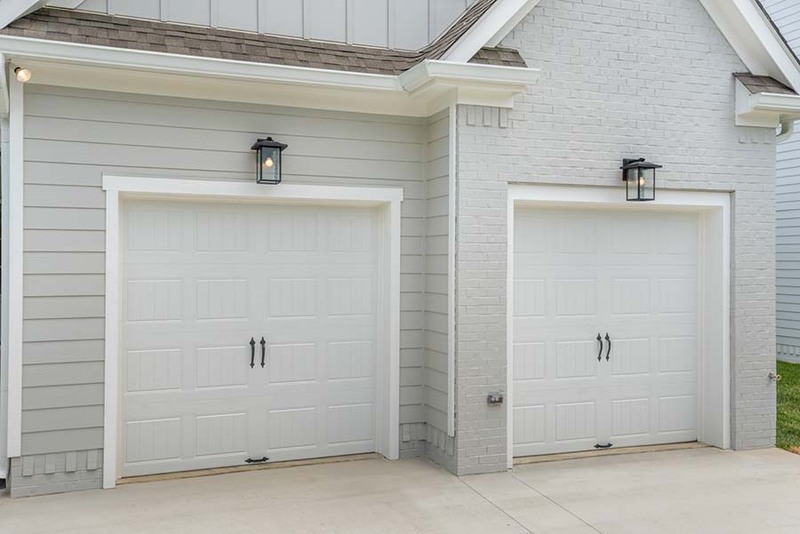 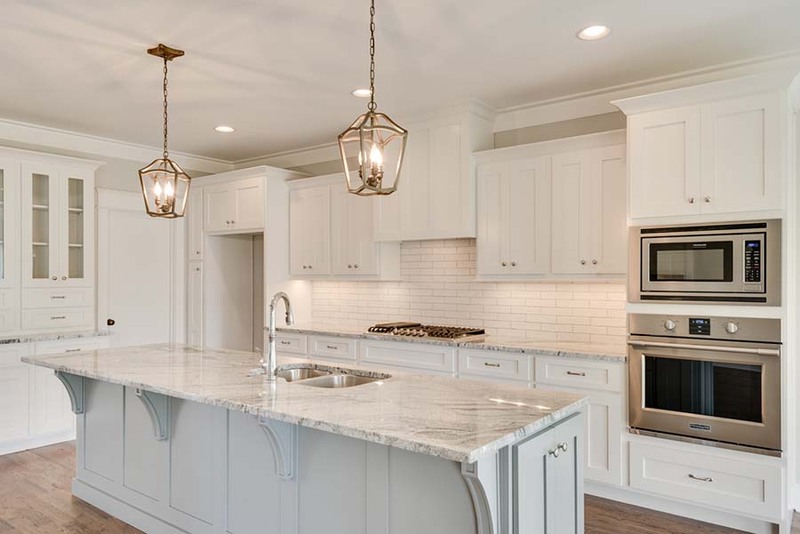 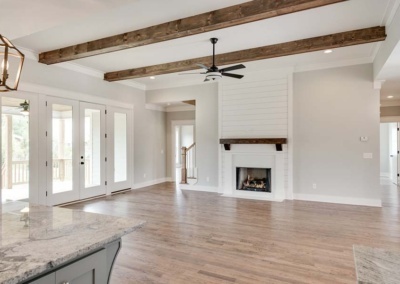 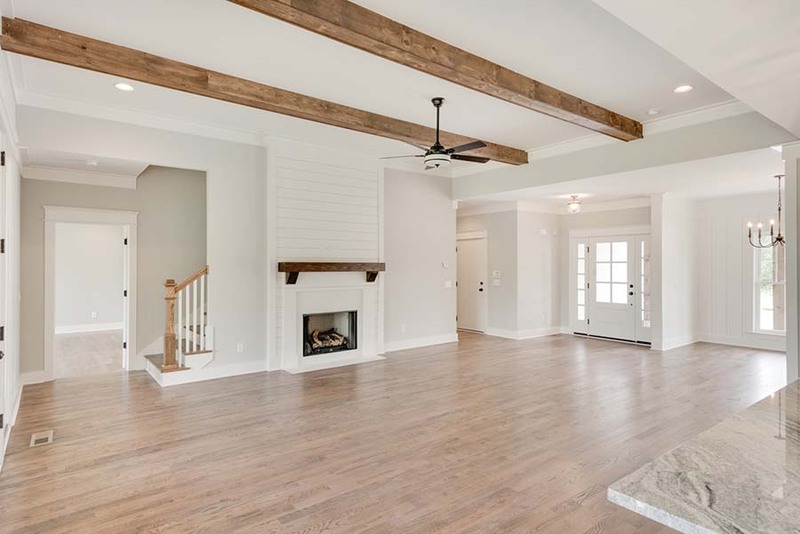 This Suburban Craftsman style home home balances its nod to the historic Craftsman Style with a soft, pallet of on-trend colors and modern finish applications to create a clean, classic visage that we’re sure to show off for decades to come. 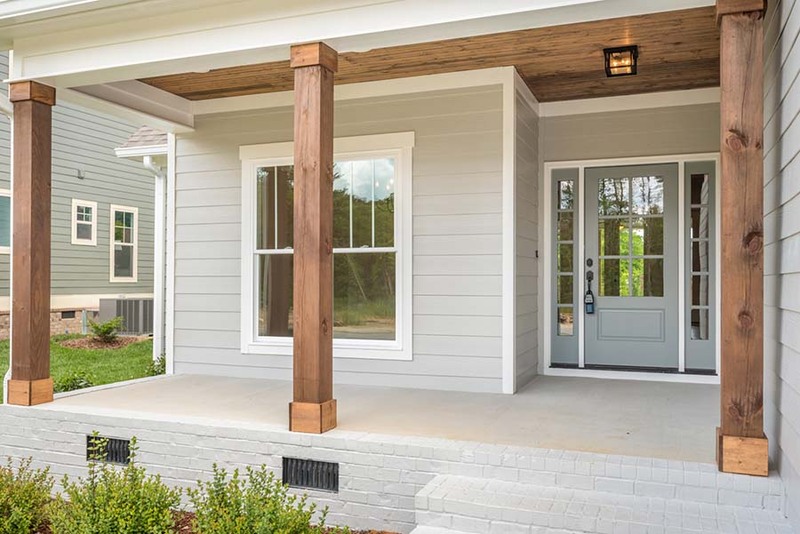 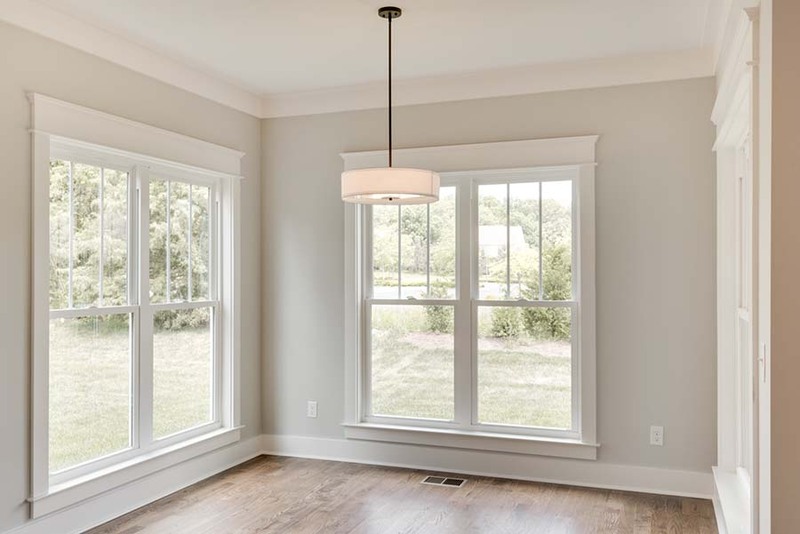 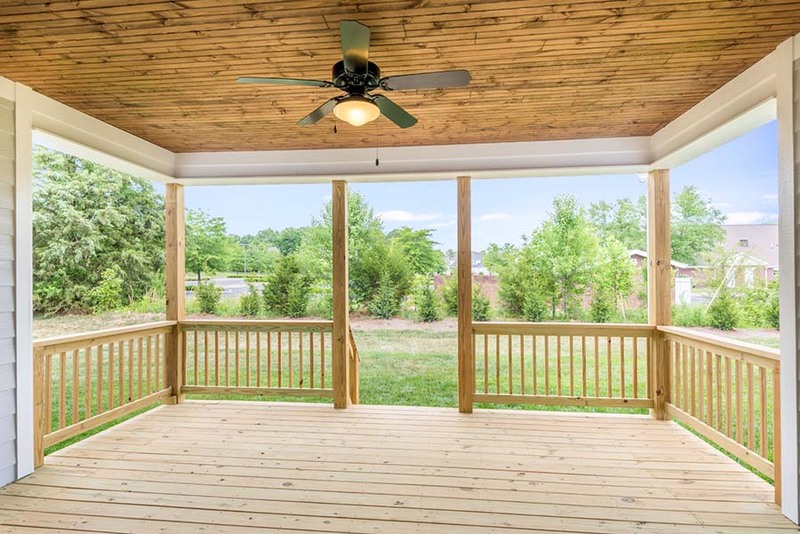 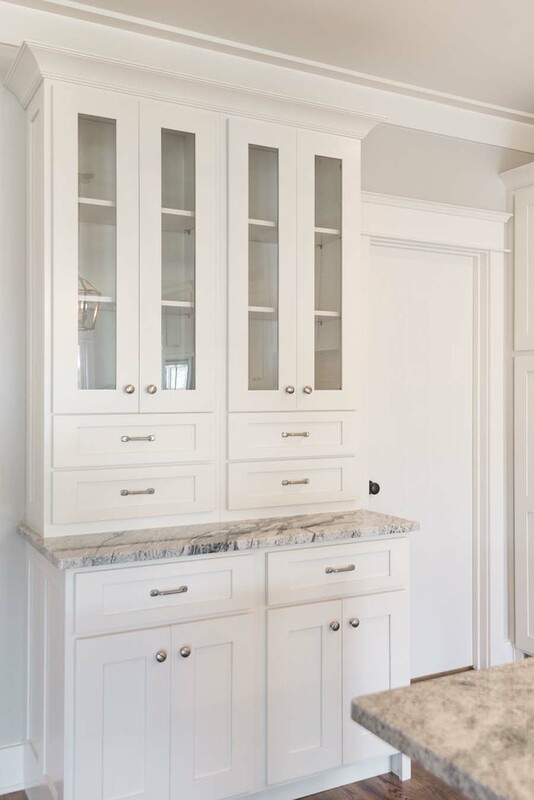 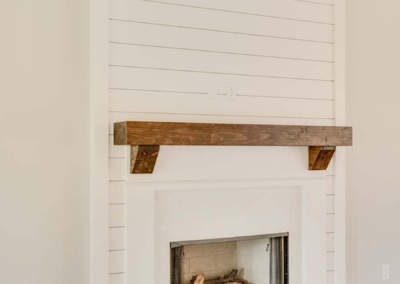 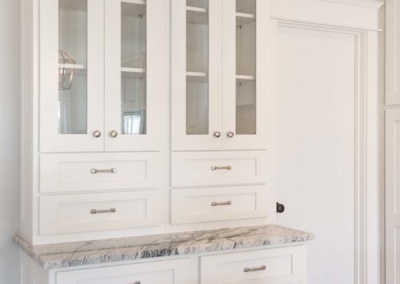 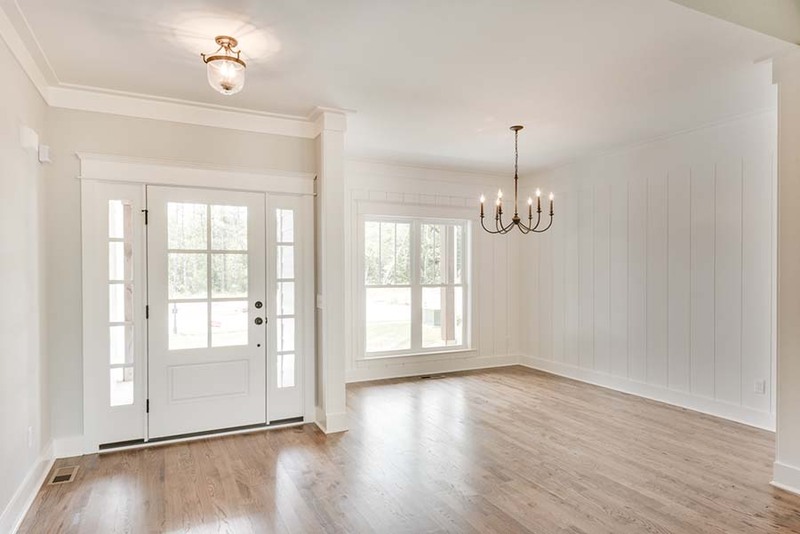 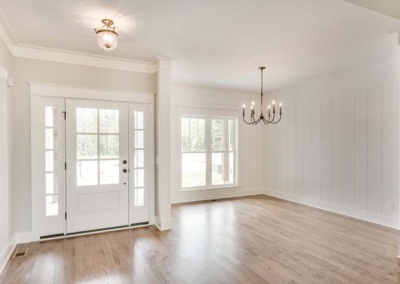 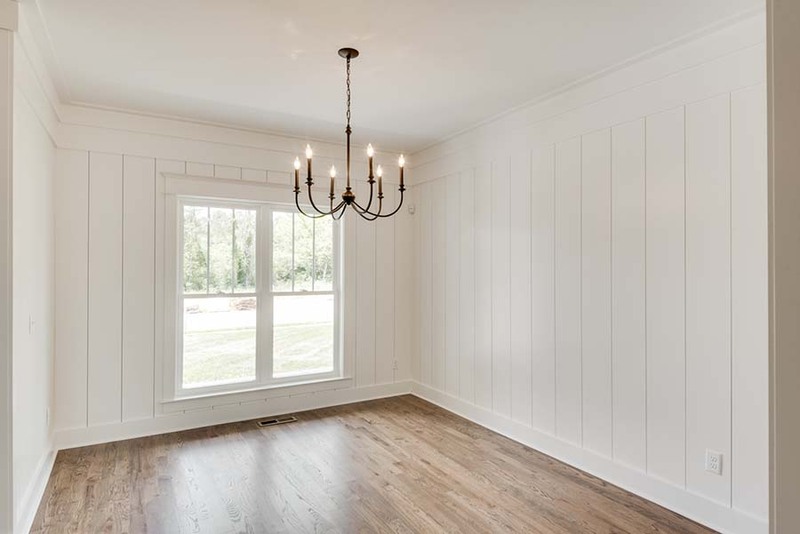 Craftsman details – such as light division in the windows, understated column details and vertical facade elements – give the home a quaint, yet historic, aesthetic. 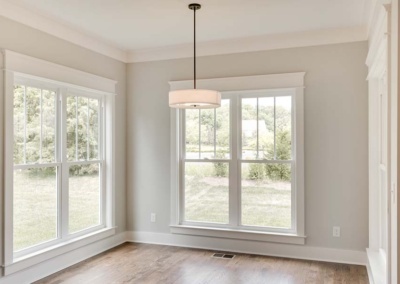 While its monochromatic pallet of soothing gray brings it forward in time to present day. 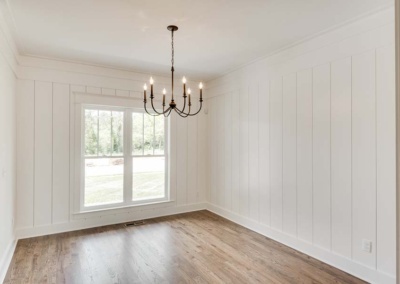 The light finish on the floor, the bright and clean – yet not unadorned – walls on the interior of the home throw light far into its interior. 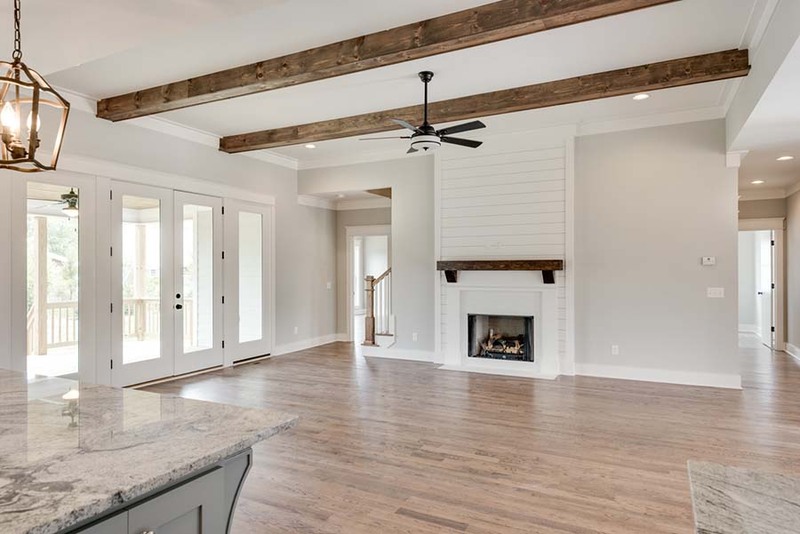 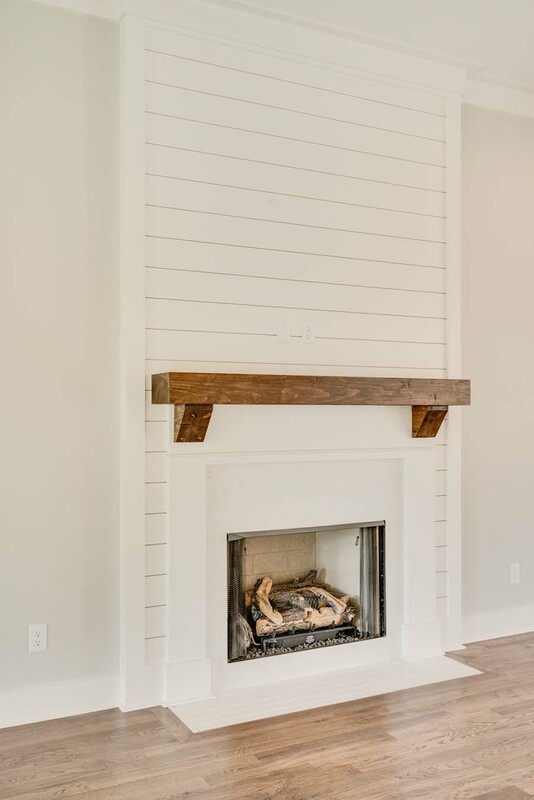 Natural wooden finishes at the fireplace and the ceiling beams balance the painted finishes throughout the remainder of the home. 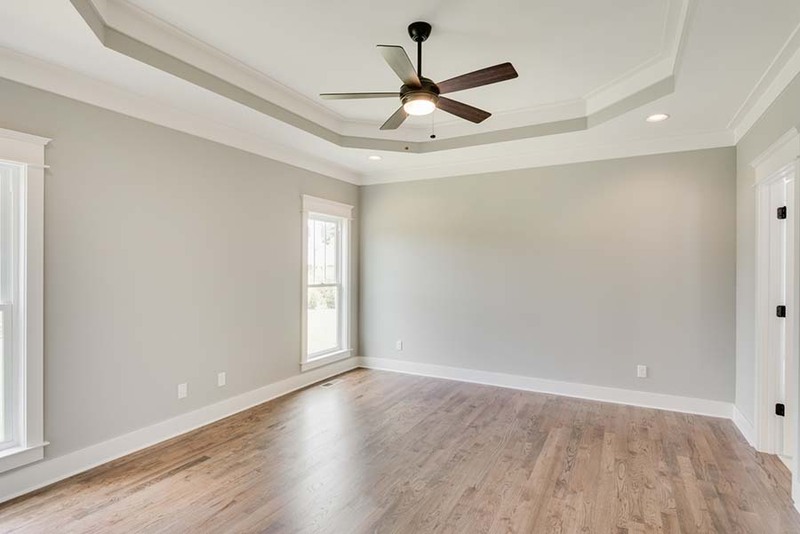 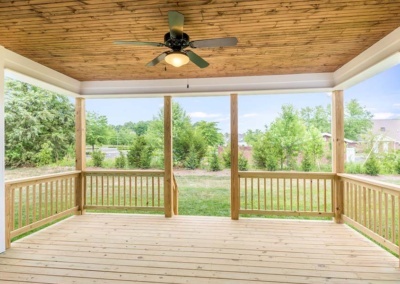 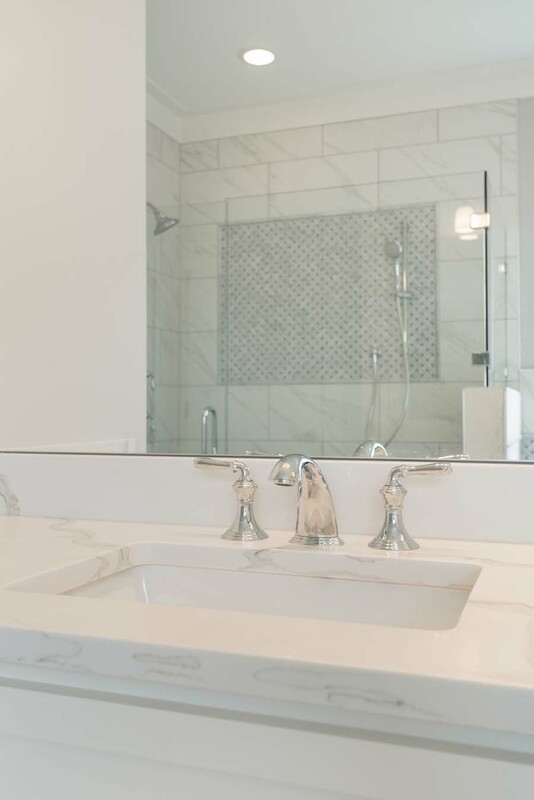 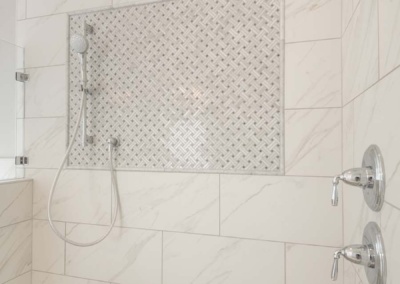 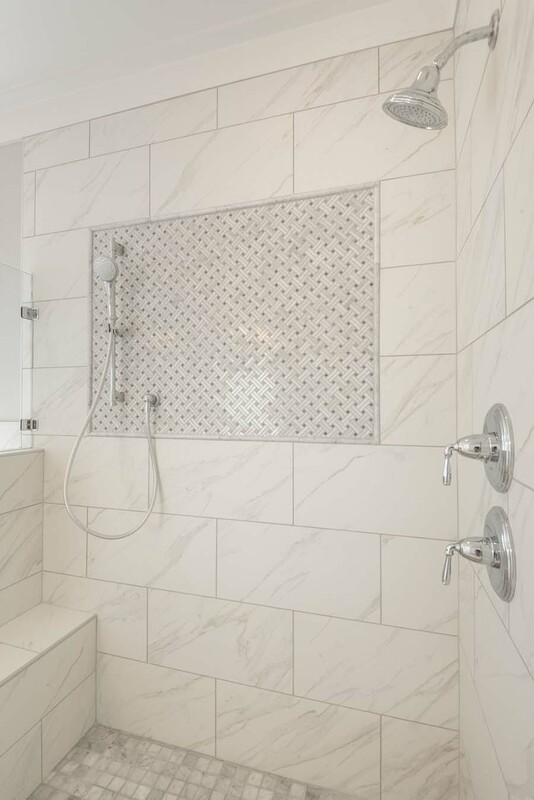 Smart, durable finishes will make this home a suitable place to raise a family or entertain busy guests.